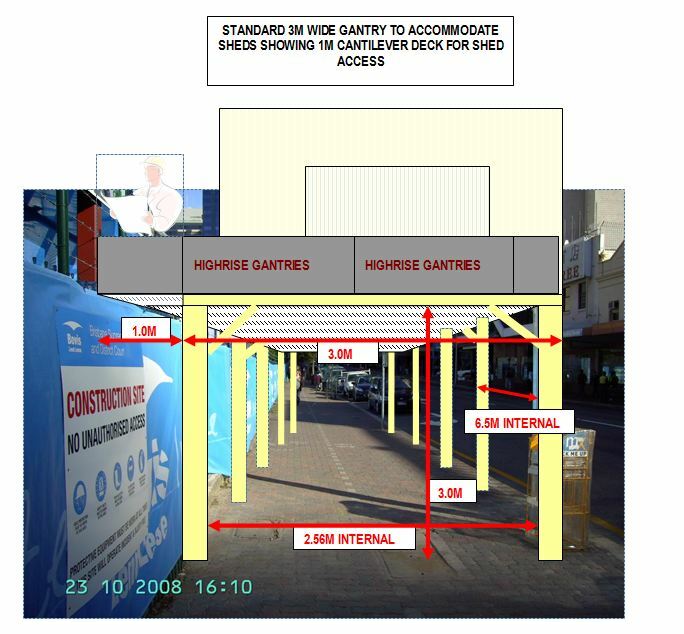 This sketch overlay shows a typical Highrise gantry used as a basic heavy duty coveredway 2.5 m wide. 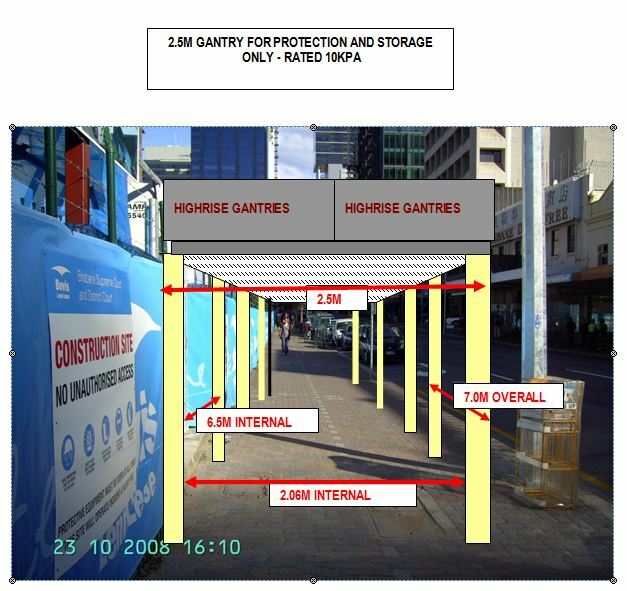 The width is dependent on the footpath width and the amount of coverage required. We recommend that when planning your gantry protection, you first consult with your local council as to their requirements for that particular area.